In the wake of tax season, my husband and I have resolved to get back on a budget and take control of our finances. Our biggest weakness when managing our money is always eating out. Eating out so often comes down to three different factors, and any or all of them could apply at any given time. There are just so many amazing restaurants in Austin. I swear there are drugs hidden in the food, causing cravings and withdrawal symptoms. Eating out is a way to spend more time with friends and family. Who wants to turn down an invite? We have busy schedules and work a lot. Going out to eat is just so easy – no cleanup, no planning. With so many factors supporting our eating-out addiction, we’ve been putting some serious effort into planning out our meals. Pretty much any time we eat at home, we’re already saving money over eating out, so we need to create dishes that we actually want to eat. But we can also save money by observing Meatless Monday. While that’s amusing and completely justified by his upbringing, that same upbringing – or, more accurately, family genetics – also led to him taking cholesterol meds since he was 22. So celebrating Meatless Monday is two-fold: saving money and cutting down on cholesterol. Now that we’re trying to budget, he’s more on board and supportive of these recipes. And, honestly, I’m pretty sure he even looks forward to them. The key to getting a meat-eating spouse (or even yourself) to embrace cooking at home, saving money by eating Meatless Monday recipes, or just saving money on eating meatless for an entire week comes down to using these ingredients in your meals. But these aren’t the vegetarian fake meats, like tofu. These are the ingredients you already buy and are a must-have on Meatless Monday – for omnivores. Beans. They’re so cheap and so versatile. 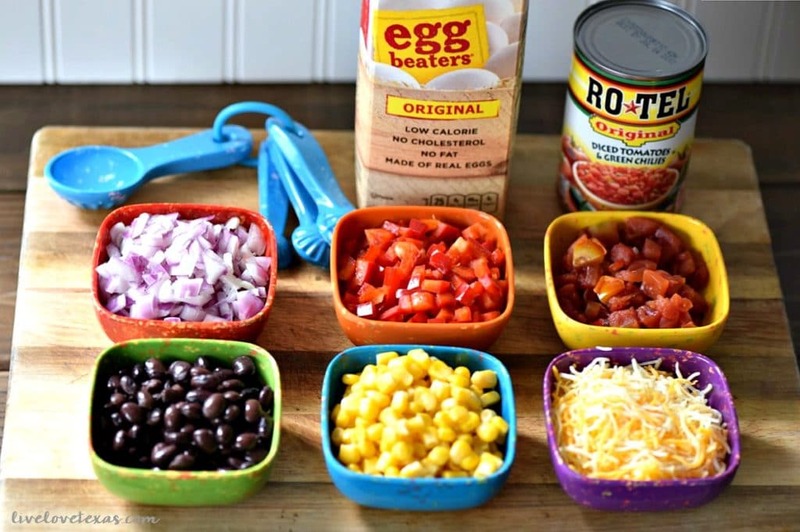 You can make hot dishes like chili or cold dishes like a bean salad and keep your menu constantly changing. Mushrooms. The rich, earthy flavor and meaty texture of mushrooms make them a great substitute for meat in certain dishes. One of our favorite ways to use mushrooms in a main dish is with a creamy mushroom risotto. Tip: While you’ll lose the meaty texture by dicing them, making smaller pieces is a great way to get your kidlets to eat this dish up. Egg Beaters. You may not have these on hand, but you totally should! We started buying Egg Beaters when we were working out all the time and just continued even in our down cycles. They’re so fluffy and flavorful, but have almost 2/3 fewer calories (25 versus 70) than shelled eggs, and, for my high cholesterol-prone husband, have significantly less cholesterol without sacrificing the amount of protein. Tip: If your husband is anti breakfast for dinner (like mine), using eggs and chunky vegetables is the easiest way to get them on board. The #GreatAmericanCookIn is going on right now and encourages people to cook in for a full week. You can find diet specific resources, different ways to cook one item (like broccoli), and ways to recreate your favorite foods at home. 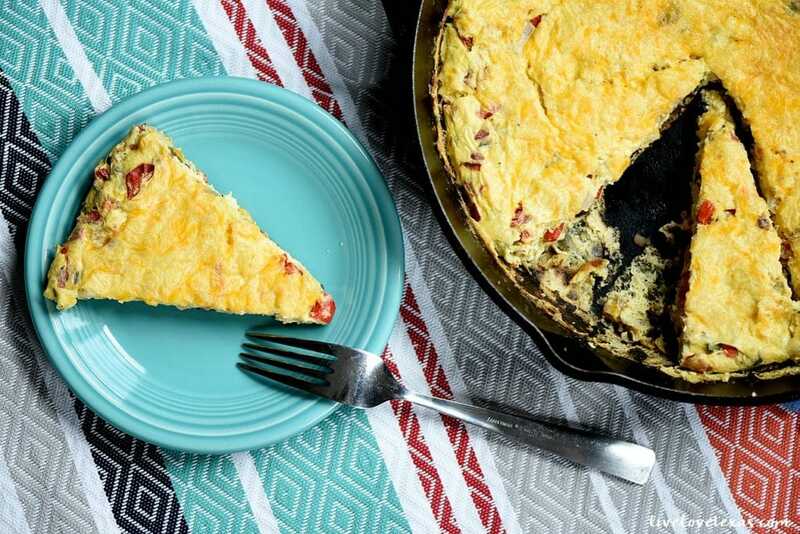 One of our favorite dishes for Meatless Monday or just any day we want to save money and enjoy a low-cholesterol dinner at home – is this Southwestern Cast Iron Skillet Frittata. 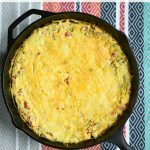 It meets our cravings for Tex-Mex by making it at home, and it has lower cholesterol by using Egg Beaters instead of shelled eggs. Meanwhile, spray a cast iron skillet with PAM cooking spray or pour about a tablespoon of extra-virgin olive oil in over medium heat. Sauté onions and peppers for approximately 5 minutes. 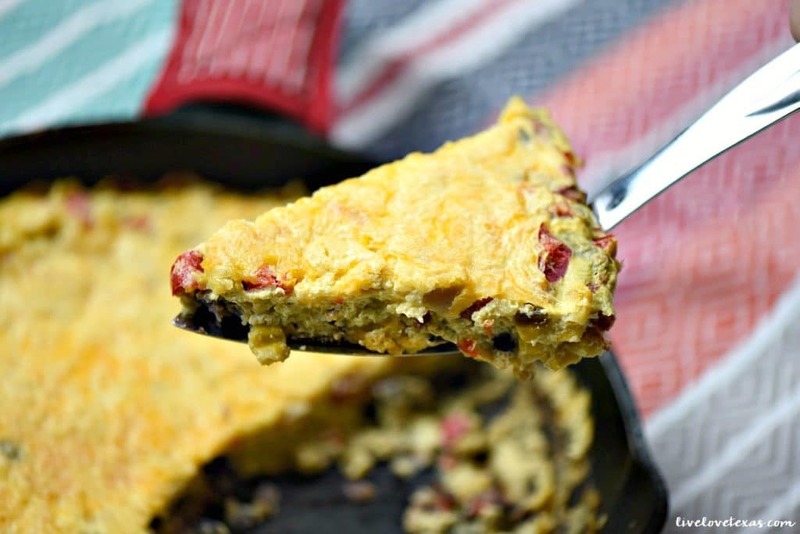 Add black beans, ROTEL, corn and half of the cheese into the skillet. Mix around, and then spread into an even layer on the bottom of the skillet. Spread Egg Beaters evenly over mix and cook for 10 minutes. Use spatula to loosen edges. 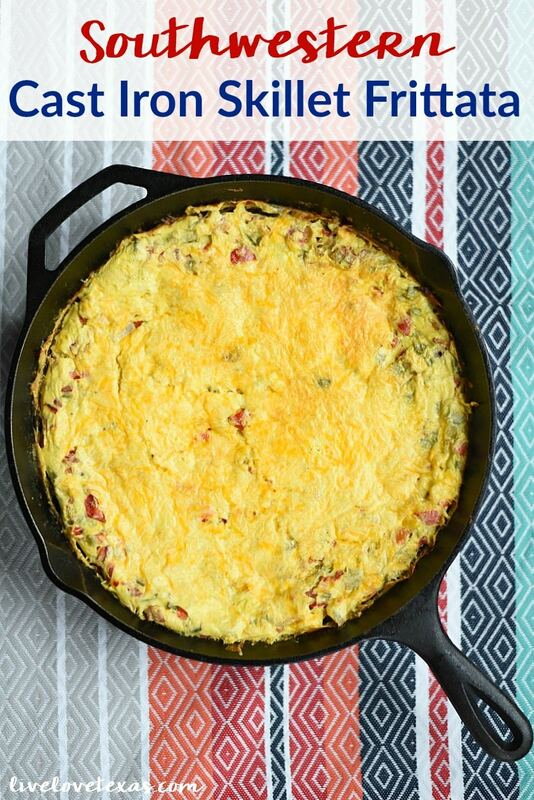 Place cast iron skillet directly in the preheated oven and cook for 20 minutes or until top is slightly browned and toothpick inserted into the center comes out clean. Cool for 5 minutes before cutting into individual slices with a pie cutter. 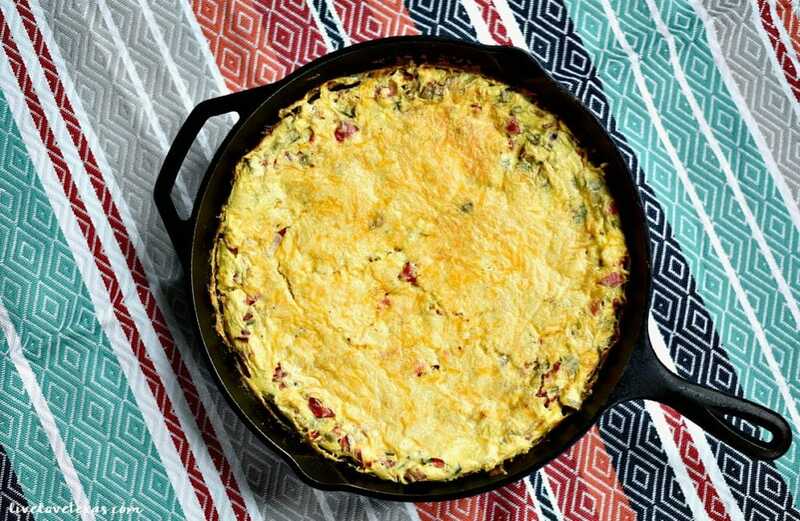 Doesn’t this Southwestern Cast Iron Skillet Frittata sound delicious?! Treat your mom, grandma, wife, or other special lady in your life to this tasty brunch idea for Mother’s Day! Find more tools for success at Forkful.com, including a guide to planning meals ahead of time, grocery shopping tips, recipes and more. Don’t forget to pledge to participate in this one-week challenge by using hashtag #GreatAmericanCookIn on Twitter or Instagram. Visit Forkful.com for your guide to the #GreatAmericanCookIn, including tips, tricks and delicious new recipes.